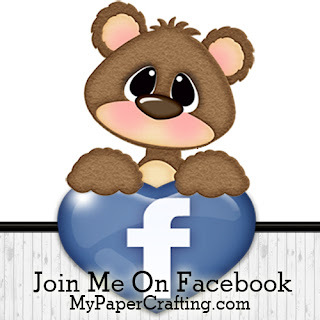 Today I am sharing a card I recently created for the Pazzles Craft Room. Here’s a look at my completed card. The finished size is 5.5 x 5.5. I started with a black cardstock base. 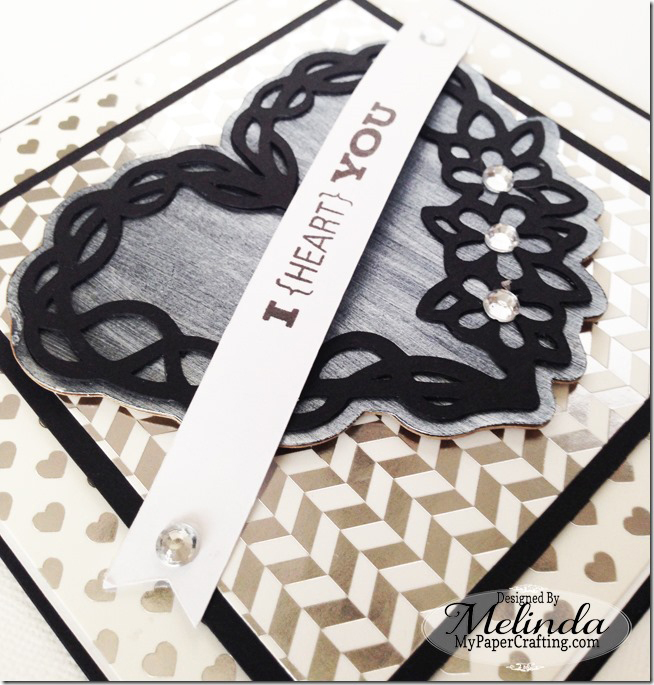 I then cut a white cardstock mat and then used some patterned papers from the Silver Foil Craft Smith Company. Here is the mat of the heart vine. I cut it out in plain black cardstock. I then used some pearlized white paint and painted the mat. I left it purposely streaky for additional effect. Here’s what the heart looked like before I put it on the card. 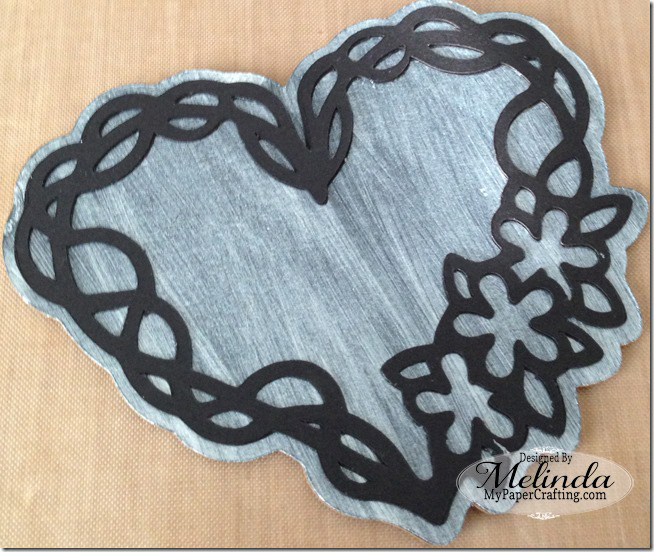 I created the heart vine cut file exclusively for the Pazzles Craft Room. Here’s a closer look at the banner. I stamped it with a retired stamp and then used some dimensional glue dots so that I could put the banner over the heart. I added some crystal gems to the flowers and on the ends of the banner. Here’s one last look at my card. Well that about covers it for today. Be sure to head over to the Pazzles Craft Room and check out all the wonderful projects. AND you can even join the Craft Room to download hundreds of files! Don't have a Pazzles, that is okay...ALL their files are SVG format and will work with just about any electronic cutter on the market!